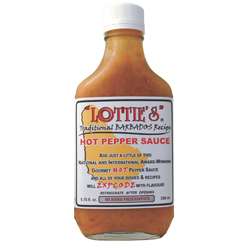 Lottie's Barbados Hot Pepper Sauce is a yellow hot sauce and has mustard added for a traditional Caribbean taste. 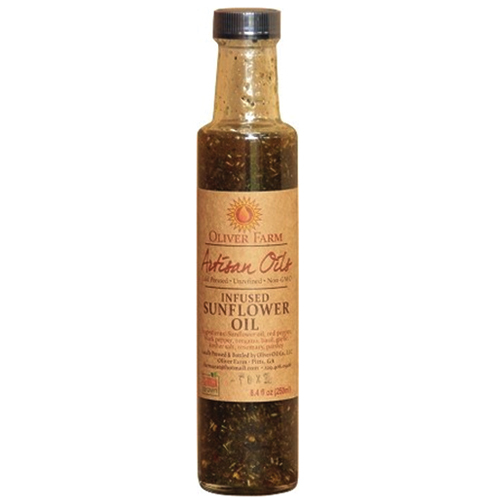 It is a gold medal winners and has a nice, slow burn that adds a delicious touch of heat. From Barbados. 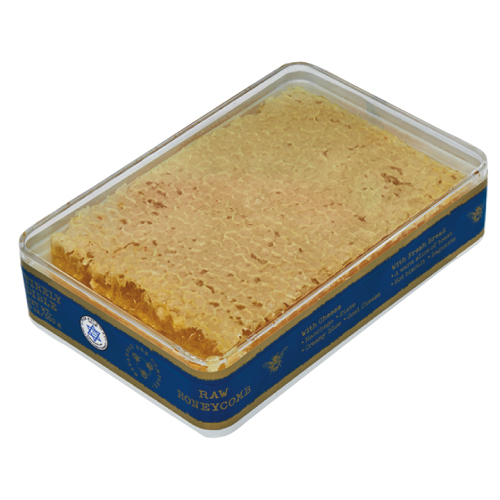 Savannah Bee Company Raw Acacia Honeycomb is beautiful to look at and delicious to eat! 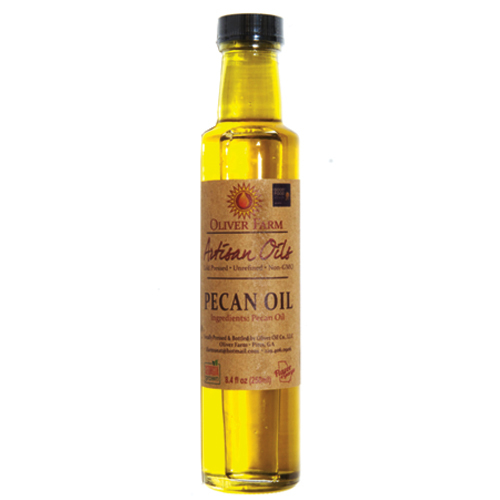 Acacia honey is one of the most sought after honey varieties in the world. 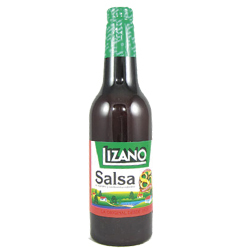 It's light color, mild taste, incredible clarity, and slow rate of crystallization put it at the top of the honey world. And to have it in honeycomb form is simply divine. The honeycomb squares come from the acacia forests of Hungary, where they have a tremendous amount of acacia trees. 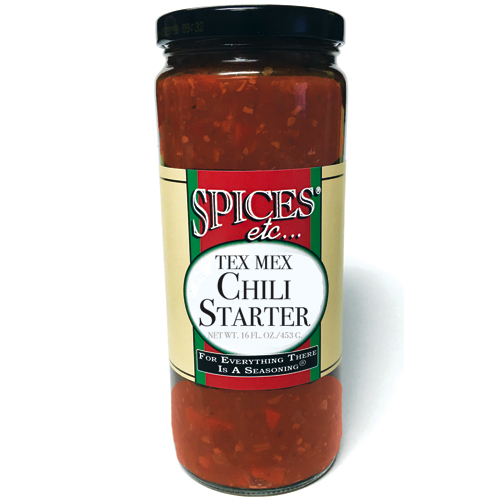 Do you love hot sauce with a wonderful flavor? 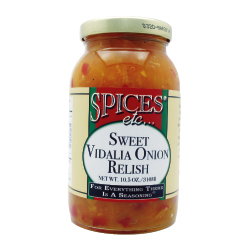 Then, our new Georgia Peach and Vidalia Onion hot sauce is just right for you! 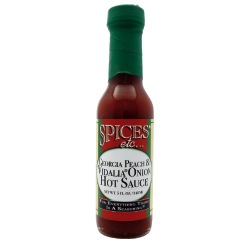 The combination of heat and sweet truly creates a one of a kind flavor that is great to add to sub sandwiches, marinades and, our favorite, roasted pork tenderloin. 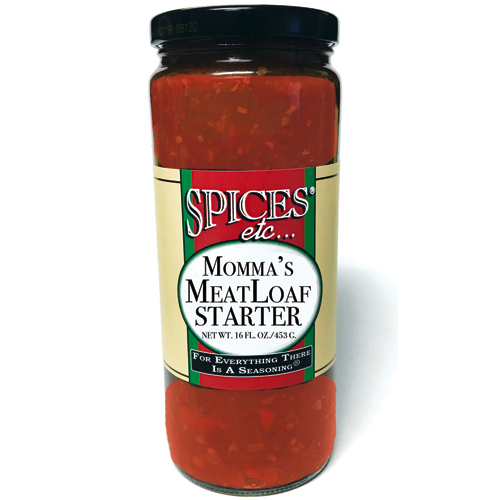 Great flavor, with just the right amount of heat! Get ready for the ultimate steak eating experience. 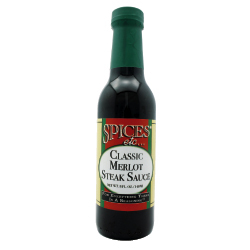 If you like Merlot wine with your steak, you will absolutely love this delicious, one-of-a-kind steak sauce made with a dose of aged Merlot wine. 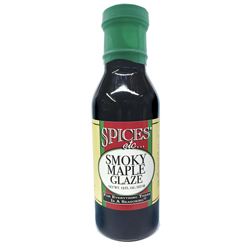 This steak sauce is guaranteed to bring a flavor that you will savor with every steak you cook. 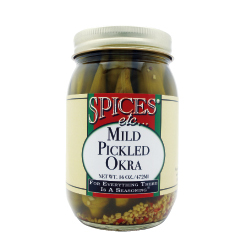 Get ready to experience an absolutely delicious mustard! 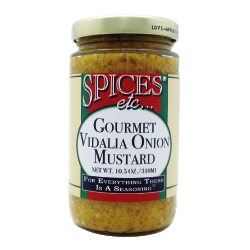 Made with chunks of Vidalia Onions, this mustard is perfect to taste on hot dogs or burgers, and it is great to add to potato and macaroni salads! 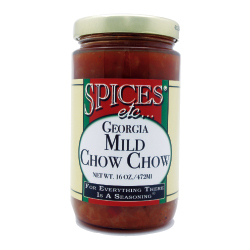 Great new flavor from Spices Etc.